On April 20 every year, marijuana lovers from around the world celebrate the culture of cannabis. People from across the world celebrate it as weed day despite the legal status. Smokers around the world usually gather for smoking up! Advocates of weed hold protests for legalising the drug which is considered illegal in many parts of the world. 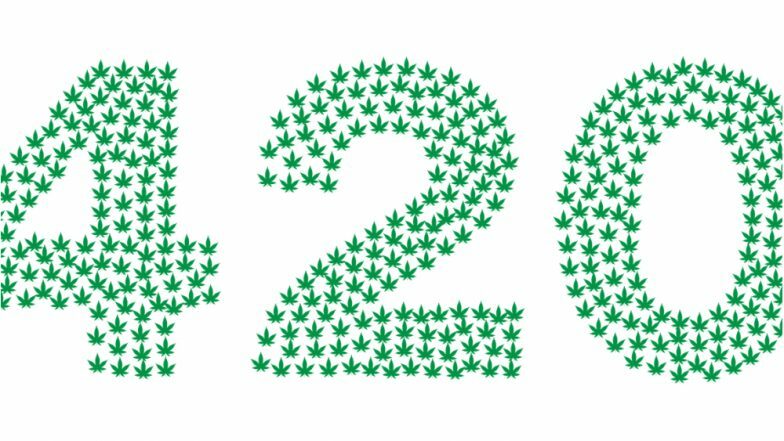 But do you know why the number 420 is synonymous with cannabis culture? It relates to the time at which the protestors gather together. Protestors gather at 4:20 pm to light up in public in an act of mass civil disobedience. There is more to it, the history of this day which began sometime in the 1970s. While most prominent in the United States, events are also held in other countries including in the UK. In India, although weed is yet to be legalised, you will find cannabis in many places. The origin of the term is hotly debated among the members of the cannabis culture. According to urban legend, the origins can be traced back to a group of school friends from San Rafael High School, California in the early 1970s. The group known as the ‘Waldos’, went on a hunt for a plot of cannabis plants that were supposedly growing near the Point Reyes Peninsula Coast Guard Station. They say they met at 4:20 pm outside their school to drive to the area and carry out the search many times. They never found the patch, but the number 420 did become a useful code for them to communicate with each other. The Waldos would say ‘420’ to each other at some point during the school day as a code to meet up for a smoke. Members of Waldos – Steve Capper, Dave Reddix, Jeffery Noel, Larry Schwartz and Mark Gravich – would meet up by the same statue and smoke at 4:20 pm. It was later amplified through the subculture attached to Californian band the Grateful Dead and the publication High Times. The five friends hung out with the band, and the use of 420 as a code for cannabis began to spread through the band’s fans and its attached subculture. Journalist Steve Bloom writes on Celebstoner.com that in 1990 he attended one of band’s shows in Oakland, California, and was handed a flyer that allegedly told the story of 420. The flyer included a call for people to gather together at 4:20 pm on 4/20 and smoke a joint as a part of a ‘day of celebration’. Some people have suggested that its origins can be traced back to ‘420’ being the police code in America for marijuana-smoking in progress. This the most popular myth surrounding 420 but it’s just that, a myth. Police codes differ by state, country and local department and not all of them use code no.420. While others say it can be traced back to Hitler’s birthday, as he was born on 4/20, this seems rather unlikely. People also claim that there are 420 chemicals in marijuana. Nope, that’s yet again another myth. There are more than 500 compounds in cannabis plant. Cannabis has its own benefits. The drug is prescribed to people with Parkinson’s, cancer etc to relieve pain. It’s also a widely used medicine in many countries and moderate use is not dangerous. The likelihood of dying from marijuana alone is extremely remote, although the activities people engage in when high can lead to death.